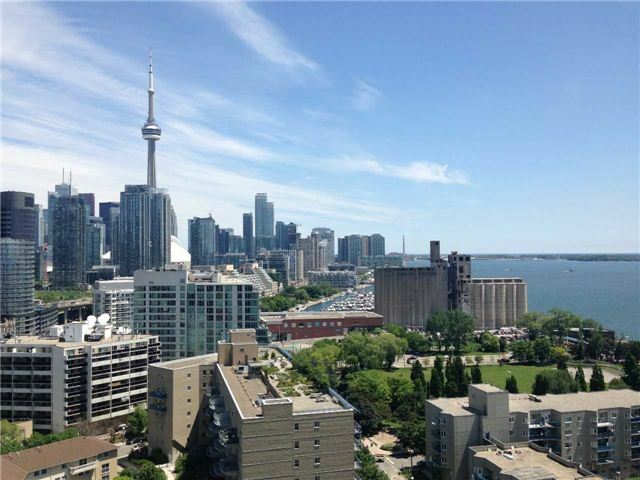 Quay West Condos at Tip Top is located at 90 Stadium Road just south of the original Tip Top Lofts in downtown Toronto near Bathurst and Lakeshore Blvd West. The condo building was built in 2011 by Monarch and made up of 345 suites and 21 ground level townhomes. With Quay West Condos, you get the best of both worlds: downtown location and convenience but also quieter, greener, lakefront living. The views of the city and Lake Ontario are absolutely stunning as you can see from the shot below. There is a running/biking path that passes directly by the condo and continues all along the waterfront. If you continue just west of Quay West condos you’ll find Coronation Park (which is frequently filled with softball teams) and also the Molson Amphitheater and the Exhibition Place. To the East, you can catch the new Queens Quay path which leads you right to the Harbourfront. Transportation is also easy – just steps to a streetcar as well as the Billy Bishop Toronto Airport. 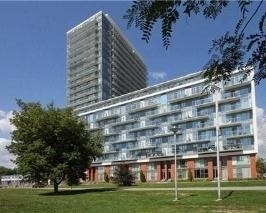 Interested in buying, selling or lease at 90 Stadium Road, Quay West Condo? Contact me.